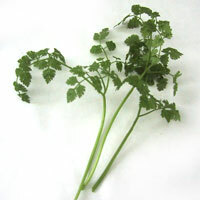 The delicate leaves of fresh chervil do not travel well, so fresh chervil is not always available. Although, chervil may have either curly or flat leaves, the flavor is the same. As is the case for most herbs, fresh chervil provides better flavor than dried.